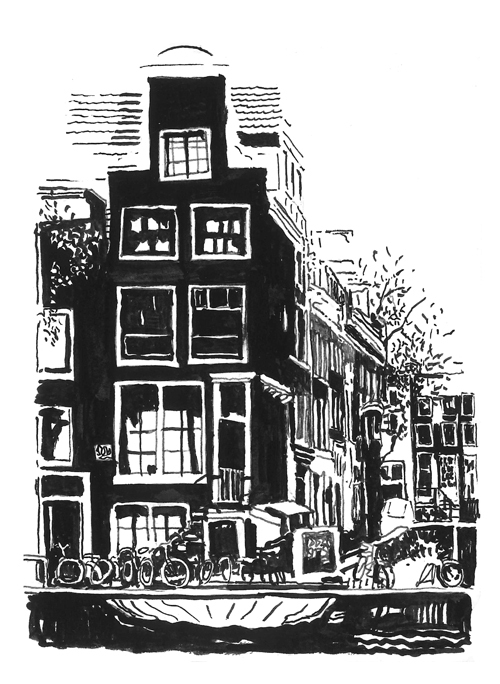 Another pen and ink sketch in the Jordaan, Amsterdam. Rembrandt spent the last years of his life in the Jordaan, living on the Rozengracht canal and was buried in the Westerkerk church, at the corner of Rozengracht and Prinsengracht. The neighbourhood was traditionally a left wing stronghold, with a stormy history of riots and protest but now is thoroughly gentrified, although it still retains it's lively music and arts scene.